About a month before the FIFA World Cup commenced another World Cup, with a bigger objective was the CONIFA World Cup. 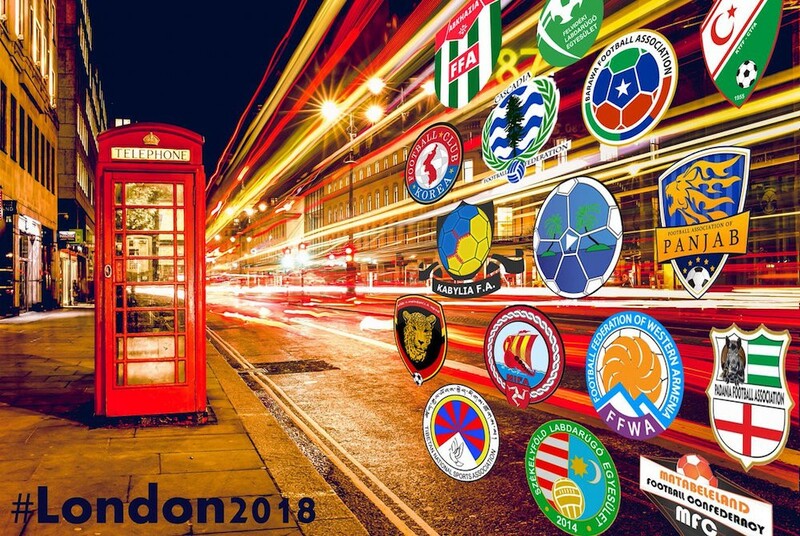 While the world is gaga about the 32 countries competing to lift the most prestigious football tournament in the universe, CONIFA had another major event successfully delivered in association with some of the global entities that takes the drive to another level. For regions and communities that FIFA has not or will not offer membership to, CONIFA (Confederation of Independent Football Associations) that was established in 2013 is an alternative confederation, which also organises “international” competitions. 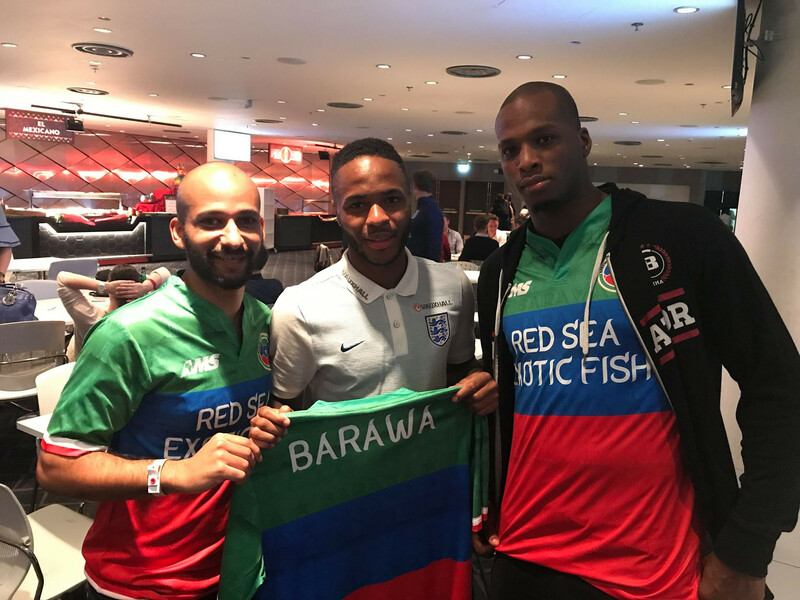 Last month, the final of the third CONIFA World Football Cup took place in England, the culmination of a ten-day tournament. JERSEY: Per, CONIFA is an association of non-aligned nations who are not a part of the UEFA or FIFA, is it correct? PAB: That is a yes and a no. On you first question you are correct, but we also affiliate Ethnicities and people of minorities and indigenous people. In short, a collection of people from the non-official states. JERSEY: Is that true that you are from a minority group called, the Sami people from the arctic circle, people from Sweden, Finland, Norway and North Western Russia. PAB: Yes, my heritage is from the Sami people and they are sad to not to have qualified for this cup, but there were only 16 spots and not all nations could take part. JERSEY: It’s interesting to learn that you had your first World Cup in Sweden, your motherland. How did it feel to give something to Sweden? PAB: Yes, we began this journey from Ostersund back in 2014. In fact, we partnered with Europa league playing side FK Ostersund, who played Arsenal this season you may recall? Mid Script: About Ostersund, I personally met many groups of Ostersund fans in London and found them to be extremely spirited. It was amazing to have interacted and spend time with them. JERSEY: Abkhazia, the disputed region of Georgia on the Russian border? This sets an interesting tone for our conversation, so there are many regions and disputed countries in the federation? PAB: The cup represents many distinct people and nations including disputed regions and for example, in the UK, the Isle of Man a semi-autonomous region of UK. So you see the idea? JERSEY: Indeed, Yorkshire have entered a team too I believe? PAB: Yorkshire is a region who have entered a team. JERSEY: Amazing! If we look at many football federations like UEFA, the president was Michel Platini, the Brazil federation was run by Pele, some of world’s greatest players. I also met Roger Milla at London 2012 Olympics when he was the Sports Minister. What’s your story? How did you come to be in this position? Did you also play for a Swedish team in the National League or the National Team? Or are you a lawyer or maybe a politician? PAB: The truth is No, the position is a product of my life somehow, as a member of the Sami people. I have seen the way the governments in the Nordic region like Sweden have taken advantage of our lands and people over the decades of my life for commercial benefits. I’m proud to now be a part of the Cup which gives a voice and an identity to the residents of this world, like myself. So many of the nations represented are in the David against Goliath situation, much like my own people. That is the true beauty of CONIFA. JERSEY: So, you have been the sole creator of this remarkable concept? The Non-FIFA World Cup? PAB: No, in fact it was developed by a group of Belgians and French under the banner of inclusion, named Nfboard, they started something like this at a lower level in 2006. I came into this then as a referee with Sami FA, and I was involved in Nfboard as a business developer, but it collapsed in 2013, out of that arose CONIFA, which I am involved with today. JERSEY: I was raised in Germany but also in Mallorca in the Baleraric islands, we have had a separatist movement in Catalunya which is culturally the greatest influencer on the Balearic Islands as well as being our neighborhood. Balearic Islands and indeed Mallorca had its own king in the 14th century and has a separate language, so I can identify with that regional identity myself. Much of Europe, in fact like Italy and Germany is made up of smaller people’s nations, ethnic groups, even tribes. Just look at Italy, which is made up of more than 10 countries or Germany, which is made up of over 30 small kingdoms and duchies like Bavaria or Franconia (a member of CONIFA). In some ways, it is a geographic reality, therefore it is the future for the smaller countries in bigger federations like the EU rather than middle size countries don’t you think? You have the Zeitgeist of the time - A bright future for CONIFA? PAB: Good question, if we look at CONIFA at this stage, we are 47 members. I think there is a movement all around the world for people seeking their nationhood, like Kurdistan or the Basque people. But Nations? No, this is not what CONIFA is about, we are about people, ethnicities and regions and around the world there are over 5,500 recognized ethnicities so even if the world stays as it is, we will be busy for many years to come and we will only scratch the surface with CONIFA. JERSEY: So, we need to think of Ethnic groups, rather than the countries? As a person based in the UK, I am excited about Yorkshire, although it is hard to see Yorkshire as an ethnic group for me. Which ethnic groups have recently joined? Fascinating world of small regional nations, people and ethnicities. PAB: Yes, there is a Yorkshire team, although not as active so far. It is right to look at this in a diverse way, a good example is a recent team to join, the team of ethnic Albanians living in Greece – the team of Chameria. I had to initially research this well and the politics were not clear but when the committee decided, they looked at a wide range of factors and indeed there is a strong case for this group to be part of CONIFA based on history and community like the Koreans of Japan who took part in the 2018 tournament, a group of almost one million people, living in Japan but are ethnically diverse to the local population. JERSEY: So, the groups approaching are well researched by the committee before being accepted? If you look across Eastern Europe like Yugoslavia and the way it split up, you can in fact see exactly that splintering process. Germany is another country. There are and always have been the pockets of Germanic people like Siebenbuergen Deutsche, Germans in Romania or in Ukraine who have lived in those territories for centuries, but are keeping their ethnic culture and identity so it’s an interesting process which is labor intensive to bring this selection about but also refreshingly modern and welcome to people for a long time split away, without a voice right? PAB: Yes, if you look at Szeklyland in this tournament, they are Hungarian people but living for centuries in Romania so that is an example of this and indeed a good football team. JERSEY: One of the favorites of the tournament I believe? Another example could be the Romany people, who are spread across many nations, Romania as you say, Hungary, Czech, Slovakia and many other nations, but I believe one kind of parliament who meet regularly, right? They also have a team in CONIFA which is impressive a team of so many nationalities, something of your own experience with the Romany team? PAB: There is a Romany team they took part in the European championship in 2015 in Hungary. they have a representation in Italy also and there wasn’t enough communication between the two in my view which for them was a challenge, but they were a wonderful team. JERSEY: It is very typical of teething problems, I guess. it is also a powerful statement to produce a team to represent a diverse ethnic people. Let’s talk for a moment about the tournament in London -- wonderful to see this in our British capital and across the city, I am a bit old school, very maybe. So many match fixing scandals including in Germany and Italy and other big leagues, it makes me skeptical. You must I guess as a small organization be pleased to get the sponsorship of big betting company, for this tournament? PAB: That is a normal question and concern for someone who has followed football in Europe for a long time like you, as you say. There have been such match fixing problems in the past and are afoot. For us however, it has been a good experience getting the support, and indeed we had Nordic Bet as a sponsor in the past but betting has always been available on the tournament either way. We run the tournament on a volunteer basis including myself so we don’t have the resources to oversee all the details to the extent of the bigger cups and leagues including Video refereeing and so on. So, in fact the betting companies by the nature of their regulatory environment constraints bring a high degree of working practice in evaluating the match organization, which we could not because of resources. So, having them on board brings more scrutiny than we could offer – they are a financial supporter and brings their own professional scrutiny to our tournament, which is a further asset. JERSEY: Talking about London, it’s amazing to see how widespread the tournament’s reach will be across London and the region from Sutton to Enfield to Bracknell to Bermondsey (Fisher FC), although I organized a football tournament for refugees in Oxfordshire with 120 participants with the support of a League 1 club, it took place in one single venue and it is a lot of work. How was the organization in London? PAB: We welcome the opportunity to play out a tournament in a city like London, a great host city with so many great football clubs. The team here indeed have worked so hard, that they have been in touch with literally every stadium. For us with limited resources, we couldn’t even consider some of the bigger grounds with rents of £120,000 for a match. We had spectatorship of several hundred not thousands, that is not in our league but we have found the right level with the grounds and the cooperation, and commitment has been strong for this tournament in London. JERSEY: Maybe the first but one day who knows? Let us look at the future of CONIFA, what are the big challenges to grow this? What are the plans for the future? PAB: We have grown from nothing to representing 330m people around the world, you really have to pinch yourself sometimes when you think about it - its a whole new football market - the challenge is financial we cannot continue running this on a voluntary basis the challenge is too huge, our interest is to represent people’s not countries, the problem here in business is gaining sponsors so we can grow to meet the demand, one of the big issues is when we reach out to big companies for sponsorship like Paddy Power, FIFA more or less have a monopoly so the first question we have to ask is what do FIFA say? PAB: In fact, not the IOC surprisingly but FIFA has the legal muscle they can squeeze if they want to but they have been respectful of what we have created. Our vision is to have paid staff and for that we need to be financed properly and that means good sponsorship. I have built up the network of contacts which are now global but the sponsorship and allocation of resources for growth is still the challenge. For example, we would love to have a European club championship on an annual basis but despite the opportunity we need to be commercially stronger to reach our goals. JERSEY: Fascinating, a club tournament, how can I imagine that? JERSEY: The interview will be included as part of Jersey Football Magazine, India’s largest football magazine for the CONIFA World Cup’s coverage. We have Panjab FA in the tournament, tell me Per what is your view on India and what are the prospects for football in that nation, if you’ve done your research on it? PAB: I have been once to New Delhi, I have seen the development of football in India and the country is growing economically and the middle class seem to embrace football, which is fantastic but I think Cricket and Hockey are the biggest sports in India. Though I don’t have any doubts that football will grow in India by leaps and bounds for they have a population of over a billion to their good. There are many areas for growth but the key is also to look after our existing members through coaching programmes and similar investment in their infrastructure. We live to a set of values and not just for growth. Each team that is associated with us pays in their own way and there is no prize money. It’s a new kind of tournament. JERSEY: Maybe finally give us an insight into what makes CONIFA special? PAB: We have an expression like Value creation, create value for everyone, our internal focus is action creates attraction, because if we are active we can attract growth. Secondly, we treat all members equally and invest the same into every member, no matter what their financial resources are. Even our bigger members support the poorer members, so we have a great ethic in the association. I can say we are not self-serving at CONIFA, the members are not here to serve CONIFA. 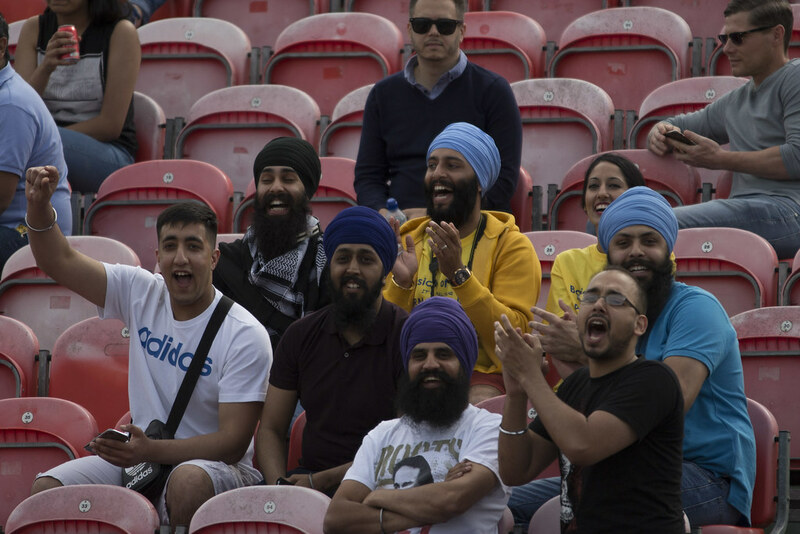 JERSEY: Indeed, and I think Panjab FA should have a strong presence especially for their home matches in Slough. Thank you Per Anders Blind, it has been a fascinating conversation discovering you are a fellow Borussia Dortmund fan and the president of this admirable organization, CONIFA football federation at the London world football cup, good luck for the tournament ahead! Should CONIFA and FIFA combine to promote football better?